In the future common knowledge will be easily and widely accessible thanks to the internet and the tendency to sharing that our society is developing. We must consider though the recent events in the US politics, facts that could easily spread around the world. Net neutrality is threatened by private companies leading the wide web knowledge to be filtered by layers and categories. This is why the More you know Hill will be a fresh heaven to all who seek true information and facts. 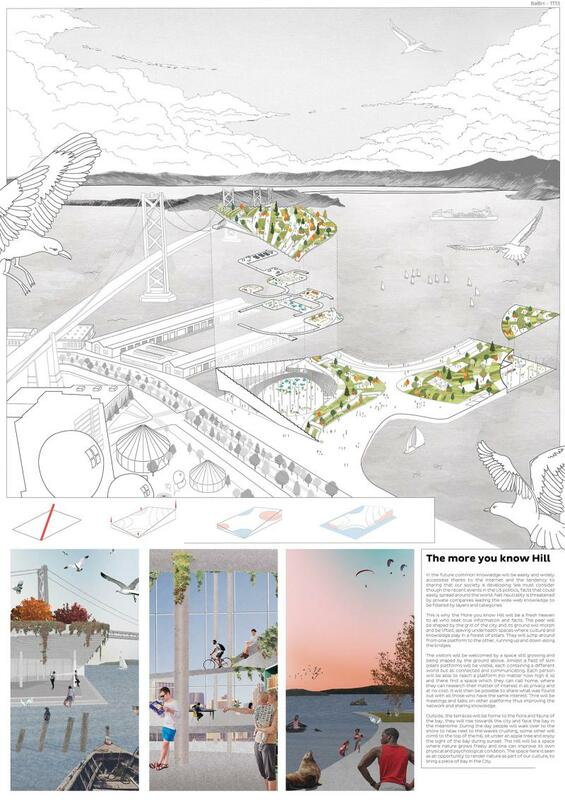 The peer will be shaped by the grid of the city and its ground will morph and be lifted, leaving underneath spaces where culture and knowledge play in a forest of pillars. They will jump around from one platform to the other, running up and down along the bridges.